WOW!! 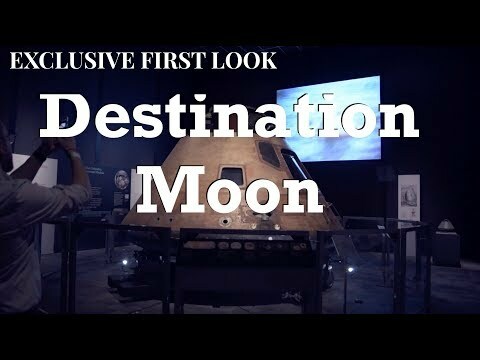 I got to attend the "press preview" of the amazing new exhibit Destination Moon at the Museum of Flight (opens April 13, 2019) in Seattle! Here is an exclusive FIRST LOOK at this exhibit, including interviews with curators from the Museum of Flight (Geoff Nunn) and Smithsonian (Kathrin Halpern), and insights from the Museum of Flight's CEO (Matt Hayes). Plus tons of cool space stuff! I've only scratched the surface of Destination Moon in this video. Of course the centerpiece is Columbia, the Apollo 11 Command Module. This is THE BEST view you'll ever get of the CM, no glass or case covering it! But there is so much more... flight suits, EVA gear, tactile and VR exhibits, and even the real "F1" engines from the Saturn V rocket that launched Apollo 11 (they were rescued off the ocean floor!). If you're in Seattle, GO SEE THIS to celebrate the 50th anniversary of the Apollo 11 moon landing! Special thanks to @spacefactswax for connecting me with this press preview! Video: Congrats Event Horizon Telescope!